The proposed I-66 Transformation requires a lot of land taking from private owners. In the United States, the taking of private land by the government (or on behalf of government) is called eminent domain. Fortunately, the Fifth Amendment of the Constitution requires property owners to be paid “just compensation” for land taken for public use. But what that means has not always been clear. In the 1950s, homeowners in Boston were paid the princely sum of one dollar for their homes as they were demolished to make room for a new elevated freeway. The displaced residents had to fight in court to get their “just compensation” for their lost houses, while dealing with the stress of their unplanned move. Court cases have improved greatly since then, and Virginia’s Constitution is even more specific of what homeowners must be paid. Many homes left standing will not only need to endure the freeway now in their (former) backyards, increased noise, light, and air pollution–but will have stormwater management swamps in place of their former neighbors. These faculties are essentially large swampy ponds that collect polluted waste water, and then let it percolate into the soil. 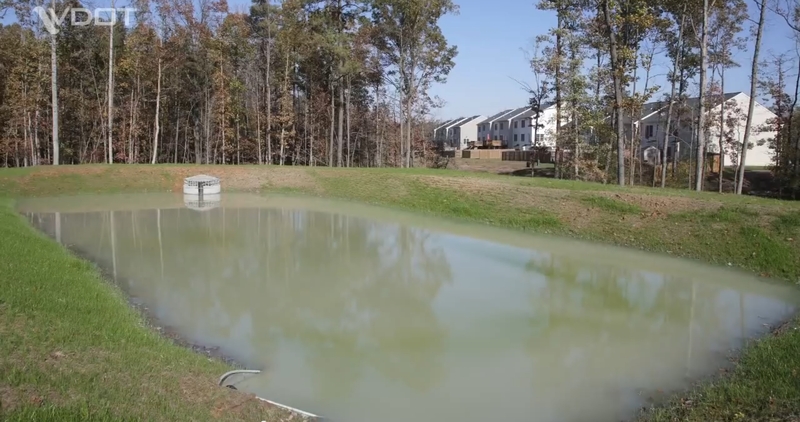 During heavy rains, the ponds fill and the excess waste water flows down a drain. Meanwhile, the neighboring stagnant water left will be potentially perfect breeding areas for mosquitoes, rodents, and reptiles. 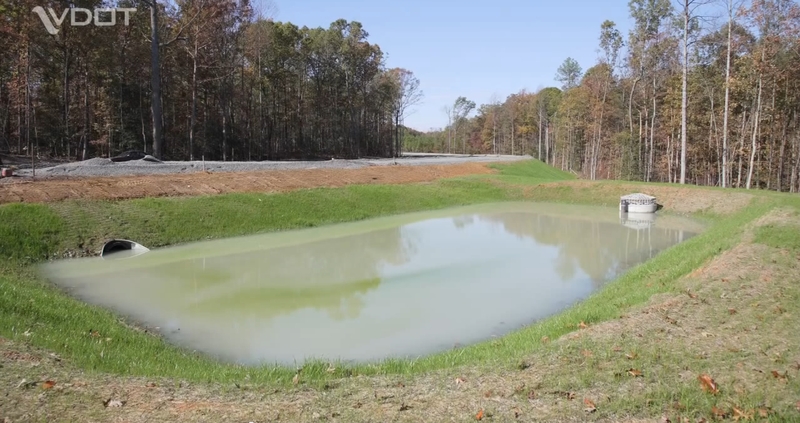 Some examples of stormwater management are shown below. (Photos by VDOT).